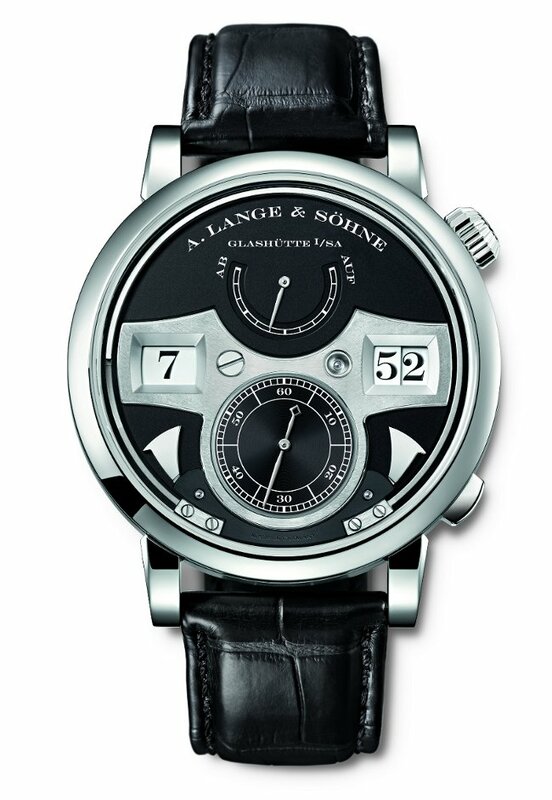 Easily one of the shining stars at this year’s SIHH, and guaranteed to be a much-clamored-for watch by collectors now that it has come into the limelight: the Lange Zeitwerk Striking Time by A. Lange & Sohne. This stunning mastery is a work of art form and function – technology and beauty come together in a way only A. Lange could whip up. The watch is a jumping hour and jumping minute timepiece – both readouts harmoniously placed on the dial for beautiful balance. Centered at the 6:00 spot is the oversized subseconds dial. What makes this already good-looking complex piece all the more magical? The addition of a strike mechanism that chimes the hours and the quarter hours with two different tones – one tone for the quarter hours and one for the full hours. The striking mechanism gongs are superbly placed right on the dial – on either side of the subseconds dial – for viewing when they perform. The striking (literally and figuratively) watch is created in a limited edition of 100 pieces in platinum ($111,400) and in white gold ($98,800). February 8, 2011 in A. Lange & Sohne, News, Reviews and Articles, Timepieces News, Reviews and Articles, Watch Stops. Easily the most impressive watch at SIHH. Yes, some of the exotic watches for half a million plus dollars are technical marvels but this Zeitwerk is great engineering and beautiful design. It is pricey but not crazy compared to other Lange models. I actually liked the gold better than the platinum. I LOVED the gold! and yes it's pricey but dare i say, attainable — thanks alan!